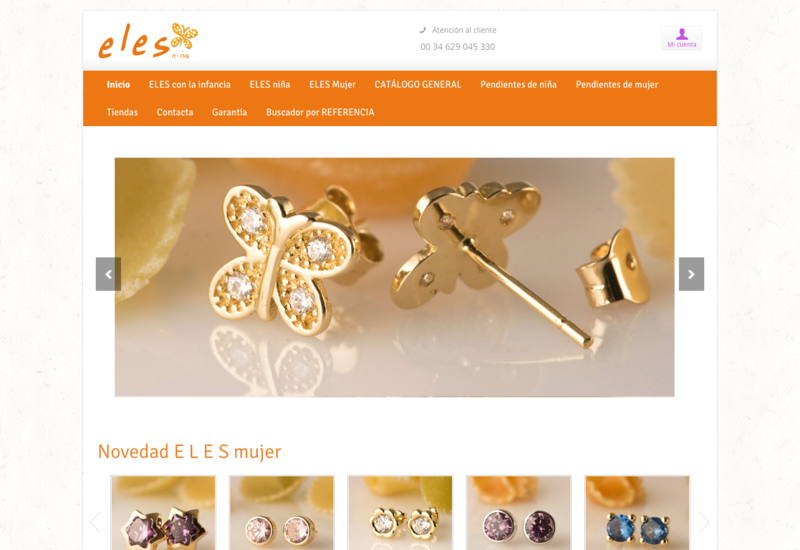 ELES NIÑA CB is a Spanish children jewelry brand with a collection of over 600 product references and selling its products in more than 300 shops in Spain. The fast growth of the company in the last years made the owners decide to build an online B2B tool. The website we designed and developed for Eles Niña to show the wide variety of products in an attractive way, allowing visitors to easily filter hundreds of references in just one click. For the design we used a premium theme and redesigned it in the style of Eles Niña. The most important and complex part of this website is the B2B platform we constructed where shops can order online, decide different payment methods and obtain different discount options and offers. The delivery process of each and every order can be monitored through the platform by Eles Niña as well as their customers. The website has many more business related features that for sure will help Eles Niña become much more efficient and proximate to their business partners and consumers. All the content created in the new website is integrated with Facebook introducing Eles Niña to this important social network. Integration is connecting your site with another platform or technology. You can connect your site to facebook, to twitter, to amazon, to a payment gateway, to Salesforce... there are so many tools you can connect your site to, the list is endless. Connecting to other tools' APIs makes your site richer.